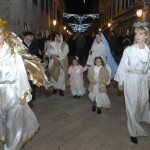 This Saturday on the Stradun was a magical place to be. 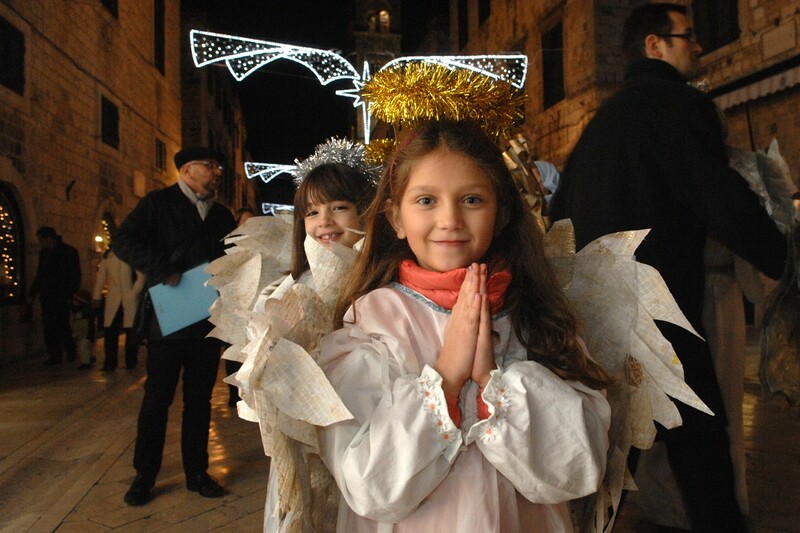 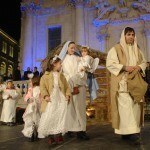 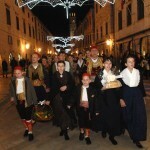 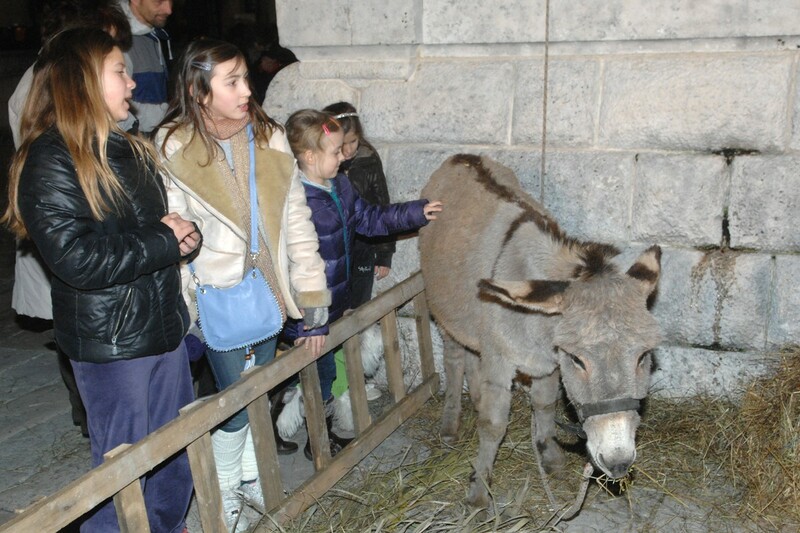 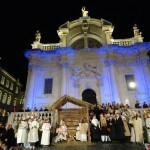 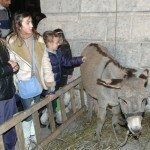 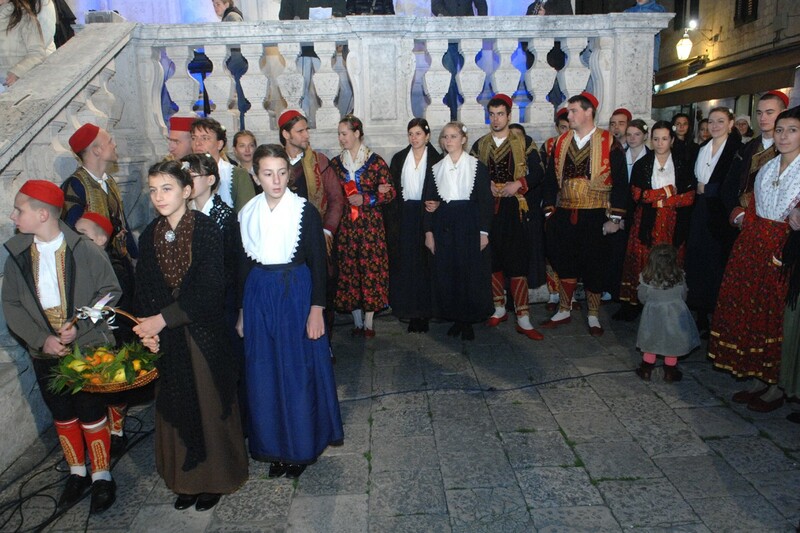 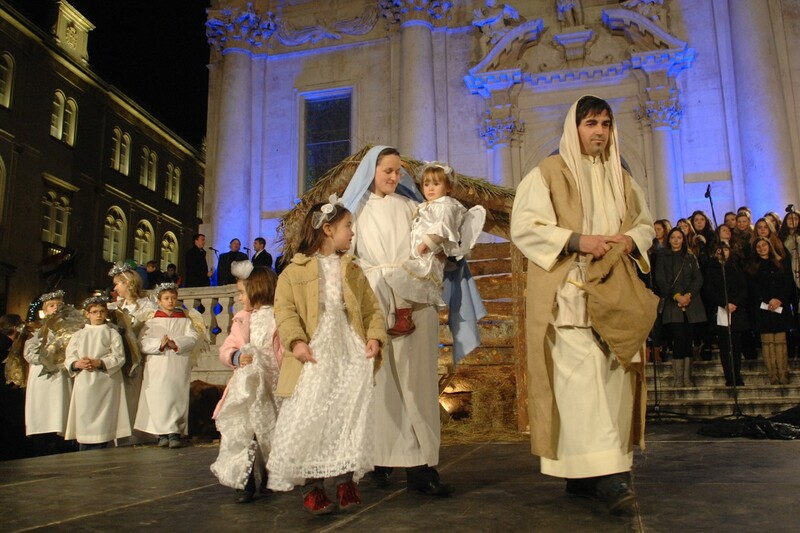 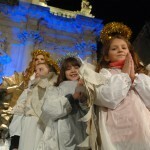 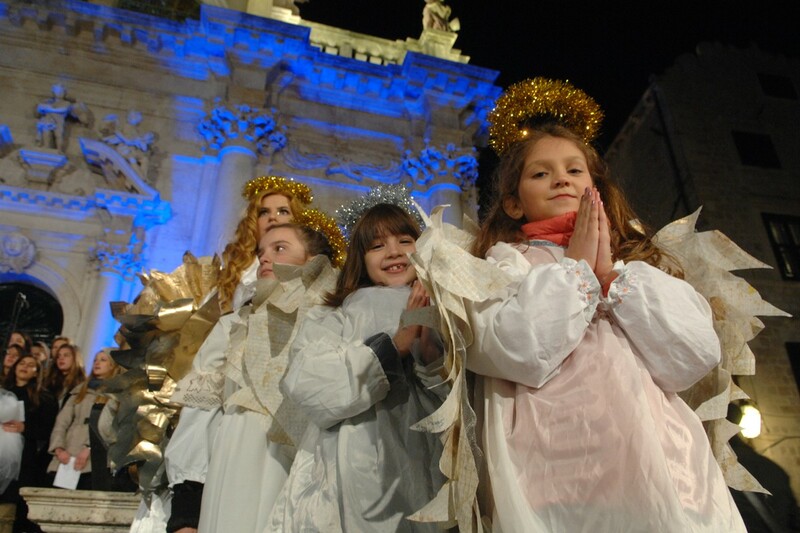 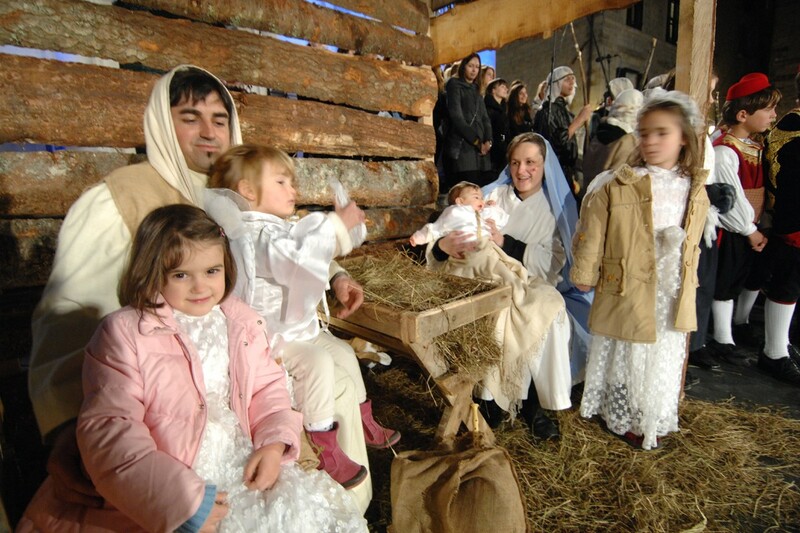 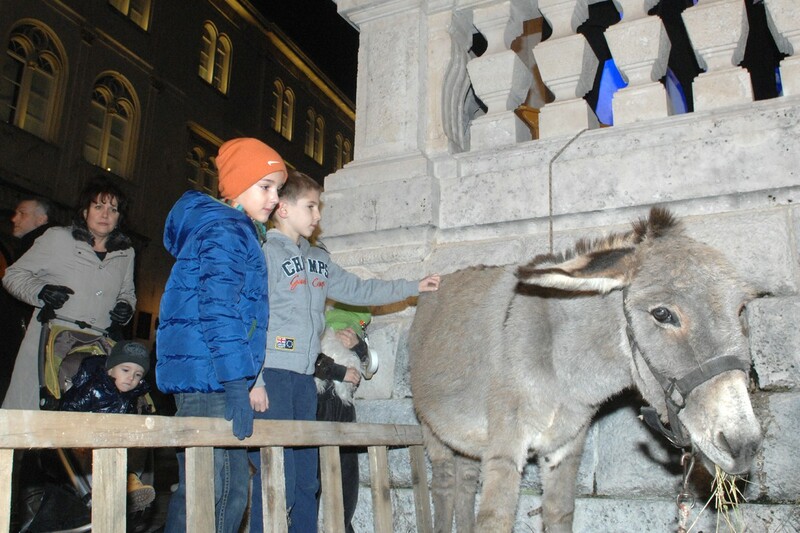 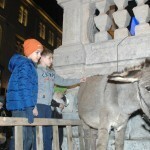 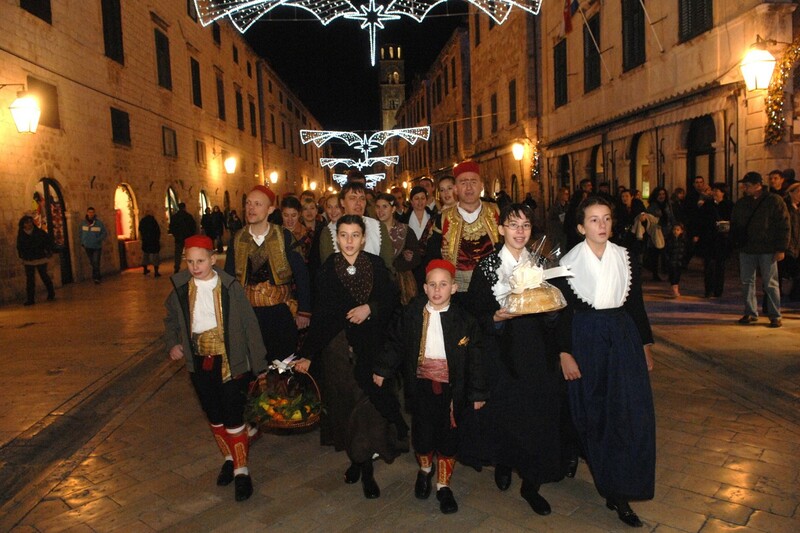 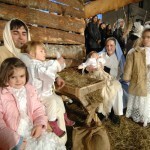 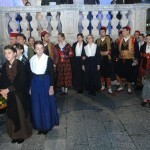 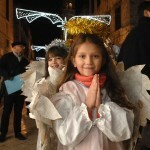 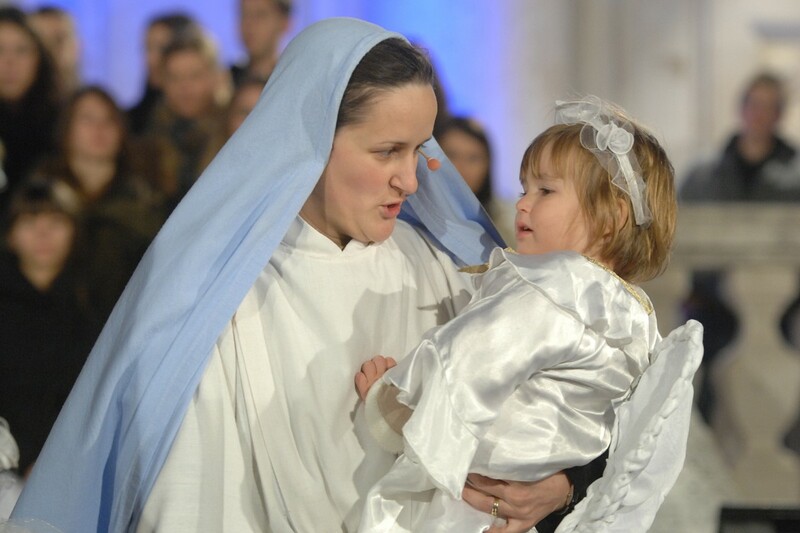 Children and their parents and grandparents gathered to watch the nativity come to life.The traditional event was organised by the Dubrovnik Diocese Youth Forum together with the Dubrovnik Tourist Board and the City of Dubrovnik. 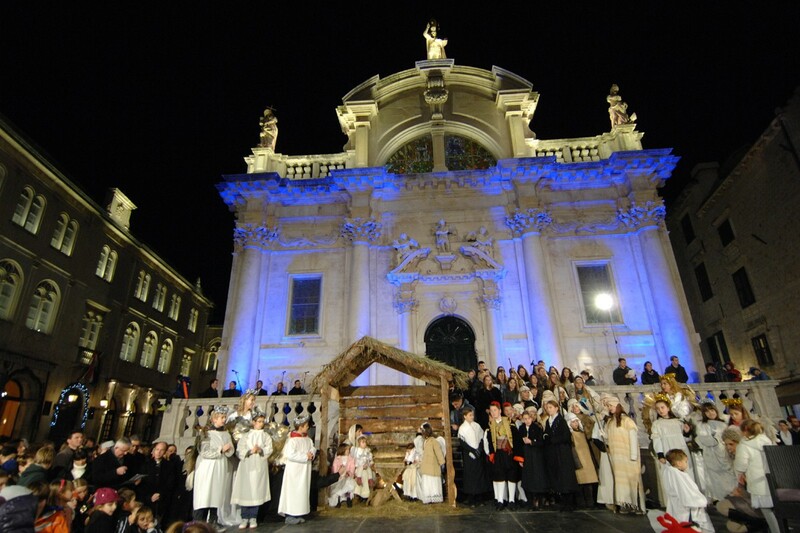 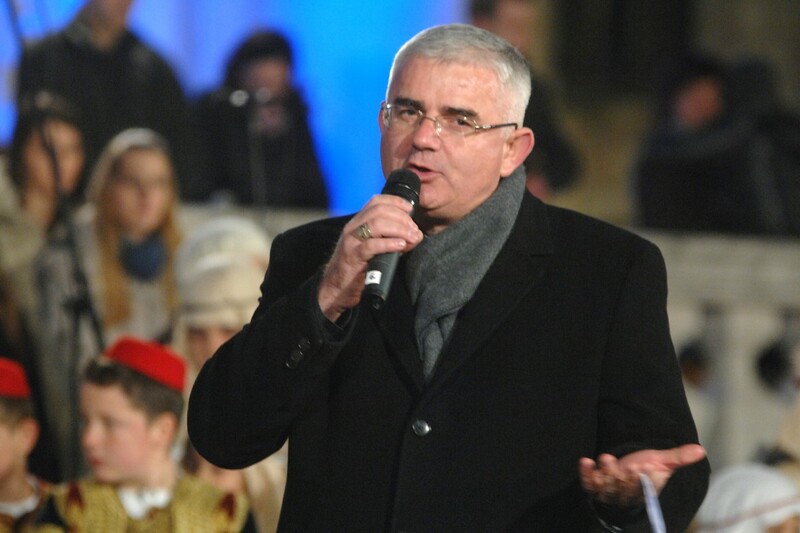 Jesus’ birth was brought to life with the help of folklore ensemble KUD Marko Marojica, vocal group Klapa Ostro, the diocese’s youth choir and other children. 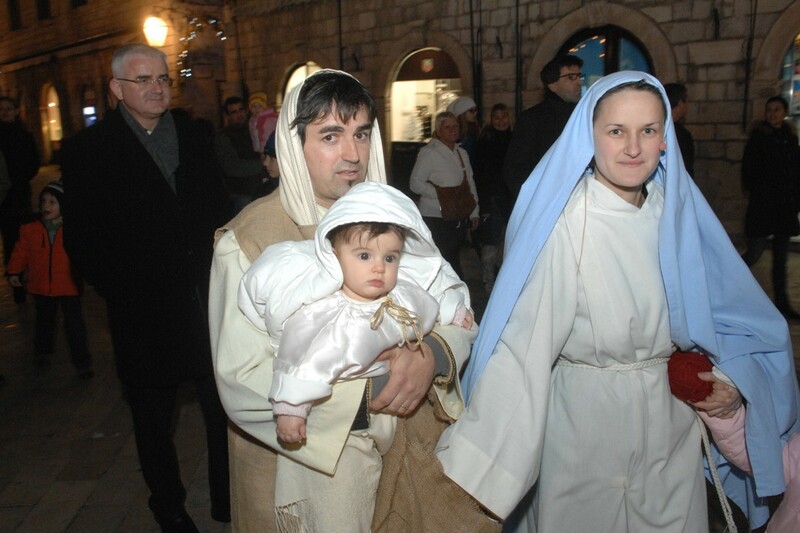 All together around ninety people took part in the nativity in front of St. Blaise’s Church with a Christmas message from Dubrovnik Bishop Mons. 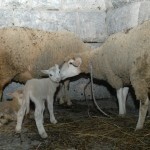 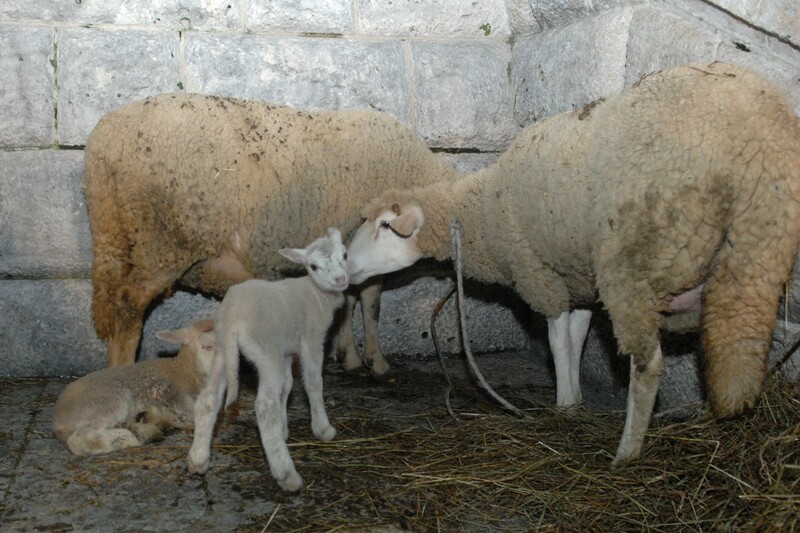 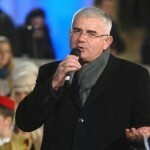 Mate Uzinić.